Gympie Garden Expo, only 40 minutes from the Sunshine Coast, hosts one of the states largest collection of orchids with the Gympie and District Societies annual competition. 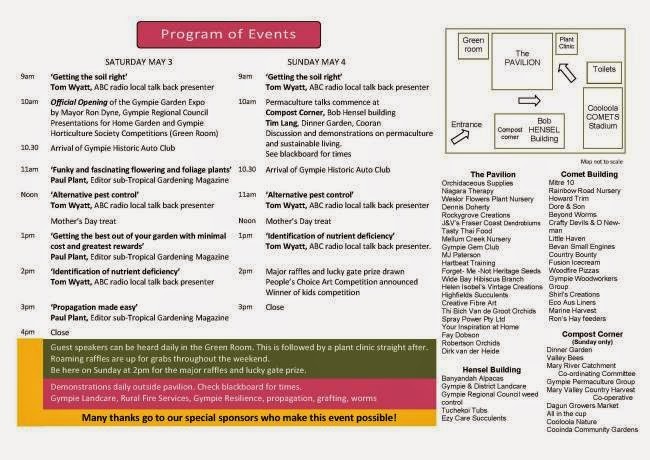 The Gympie Horticultural Society plant competition offers fascinating plant displays or you can visit open gardens for best of Town and Country, Novice and a Over 75 section. Guest speakers deliver informative talks followed up with their ever popular plant clinic. The weekend attracts market stalls offering plants, art and craft and a myriad of garden accessories to compliment the home gardener. The focus is on the sustainable lifestyle with permaculture displays and specialised gardening techniques for the community. There will be a multitude of raffles each day with the major raffle prize drawn on Sunday. Children and parking free.